Our team offers an array of services including our exceptional car rental service near my location to and from Fort Lauderdale –Hollywood International Airport (FLL), for the fantastic prices. And don’t get us started on our late-model and perfectly presented fleet! All Driven Miami vehicles are late-model, carefully maintained and impeccably polished every time you travel. Where Can I Find the Nearest FLL Car Service? Much closer than you think. Driven Miami is a leading luxury livery provider nearby and South Florida’s favorite among both business and leisure travelers. Our team offers an array of services including our excellent transportation to and from Fort Lauderdale – Hollywood International Airport (FLL), but also for Miami International Airport (MIA), West Palm Beach (PBI), or Ocean Reef. At Ft Lauderdale, there are more than 300 arrival and departure flights every day. 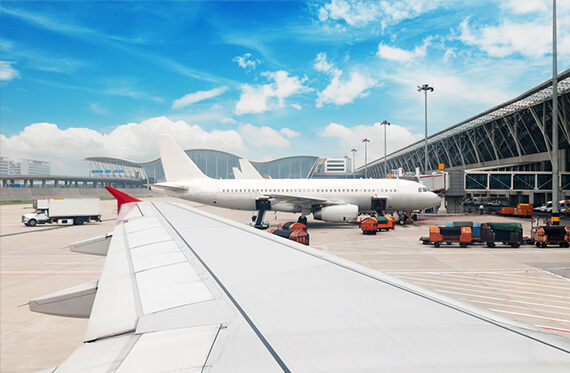 With a 100 nonstop flights to the US and international cities, this airport is a busy hub offering South Florida international and domestic passengers a fantastic connection. Our Fort Lauderdale Airport Car Service is here to look after your rides and getting you to and from the airport in an efficient and safe manner. Our Fort Lauderdale Airport Car Service near me guarantees a smooth and comfortable ride to and from the airport from Palm Beach, Port of Miami, Port Everglades or Palm Beach Port. Let us meet you at the airport or the seaport and swiftly transport you on your shopping spree, concert, restaurant, sports game, nightclub, hotel or pool party. Sit back and relax in the comfort of quality vehicles, carefully maintained and fully inspected in order to always arrive in pristine condition. At Driven Miami our team is equipped with cutting-edge technology, allowing us to monitor all departure and arrival times, letting us plan your pick up precisely according to your exact ETA. With us, your trip to and from FLL is guaranteed to be a comfortable one. Our cars are beautifully equipped and offer the highest level of comfort all the way to Key Biscayne, Aventura FL, Boca Raton or West Palm Beach. Next time you are traveling to and from any airport select our Fort Lauderdale Airport limousine near my area hourly luxury car rental or point to point and enjoy a peace of mind. Our team looks forward to driving you in the near future.